Let’s explore ideas and tactics. “You’re Calling Me From Where? 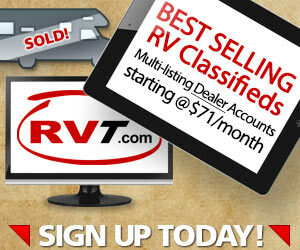 A dealer with very limited online RV marketing experience signed up with RVT early in 2014. We got his inventory online fast and the phone started ringing. A woman calls about one of his used RVs. She’s from 350 miles away. Within 7 minutes he’s got an easy deposit for that unit on her VISA card! I listen to the call. I can tell he’s a very professional sales manager, but I can also tell he’s more than little shocked – in a good way. She’s offering him a deposit. She’s never seen the unit. He’s never sold a unit “sight unseen” before, but he rolls with it. He takes the deposit and – as the story goes – she shows up at his dealership the following week – and buys! “How can I do more of this?” he asks. And, it’s been working. Very well. With no end in sight. When a buyer lands on RVT.com, we know where s/he is accessing the Internet from. We use their IP address and calculate their Zip Code. 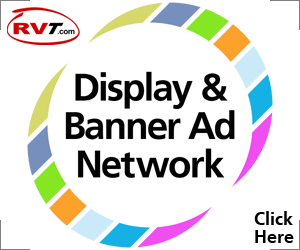 While they’re on RVT – we can show them your dealership’s banner ads. The doors to his RVs are always open. Buyers don’t have to walk through the Office to get out onto his lot. I.e. you don’t have to “run the gauntlet” of Salespeople before you can kick a tire. He started running banner ads on RVT in other promising markets from between 2 and 12 hours away – leveraging his “easy browsing” message. Astounding results. Extremely strong clicks to his banners. Great levels of inquiry (leads! ), and sales. Nice. He spots an opportunity some distance away. He realizes RVT knows where each buyer is located. He chooses to show his differentiating message to bonafide buyers in opportunistic regions. 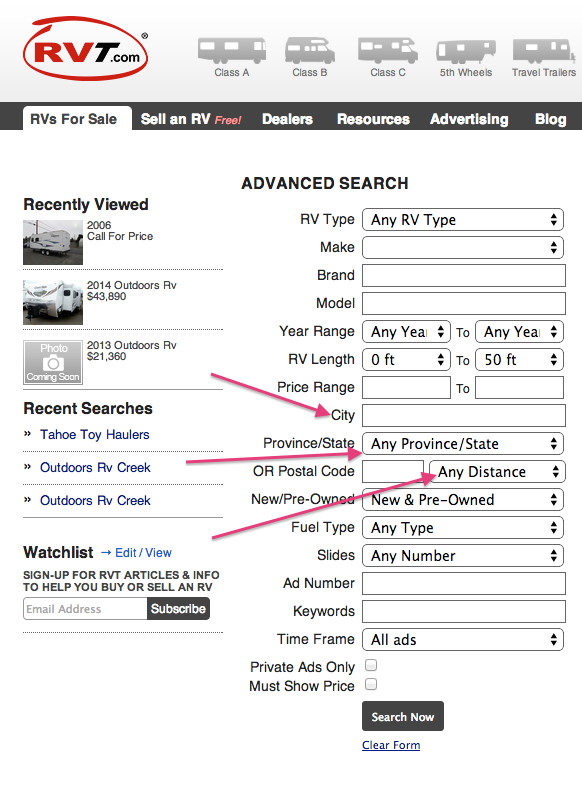 Not only do we know where buyers are searching the Internet from, but also, buyers often use our Advanced Search Feature and tell us specifically where they want buy their next RV as well. When a buyer chooses to Advanced Search in YOUR region – no matter where they’re from – you can be MORE “in front of” that buyer by making sure he / she sees banner ads for your dealership. They may (or may not) live where you are, but they’re 100% shopping where you are! 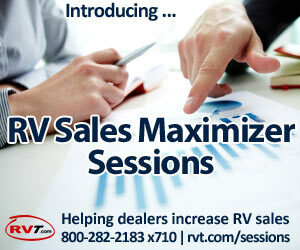 Both Tactics get your dealership front & center in the RV buyer’s shopping process – exactly where you need to be! Where are you seeing buyers come from? Where would you like to expand your market into? And, what key messages would you tell buyers in distant target regions about your dealership?